Belinda smooth run at Gidgegannup CIC! 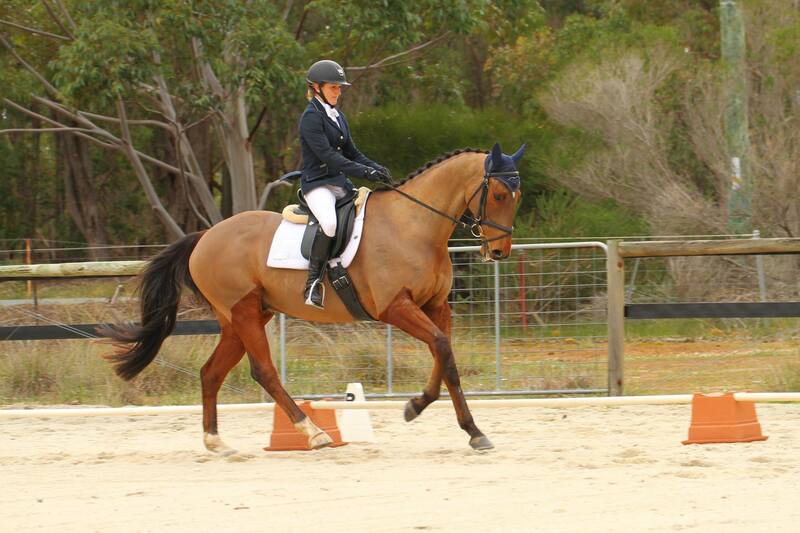 Belinda had a pleasing weekend at Gidgegannup CIC riding, Here to Stay in the Pre-Novice, and Holy Bruce in the Two Star. ‘Bruce’ was leading the two star dressage, on what was nearly a sub 40 (if the rider had remembered where to go!) and ‘Jake’ was sitting in 5th in a 35 + field after the dressage phase! Both horses jumped clear in cross-country and showjumping! However, a deliberately steady ride from Belinda on the cross-country accumulated some time penalties, which put both horses out of the placings, but Belinda was thrilled with her team of two for the weekend! 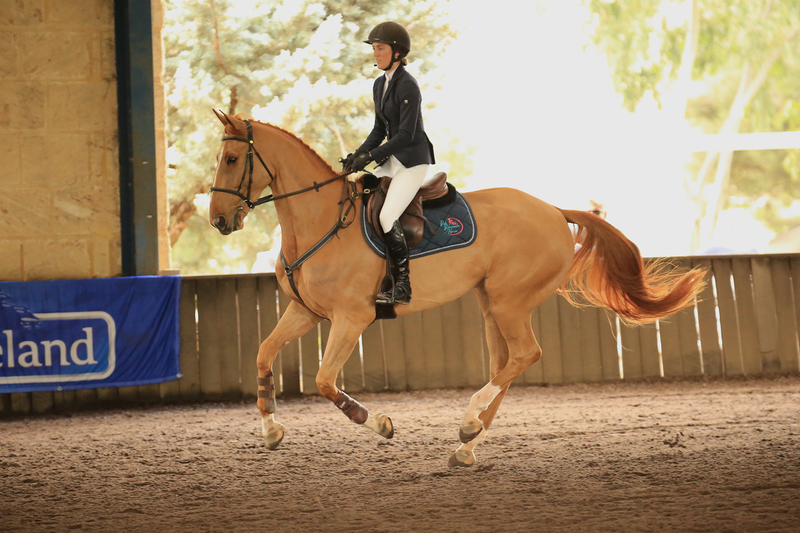 La Nina had her first show last weekend at Taminga Jump Club! Nina is by the lovely GP jumping stallion, Yalambi’s Carpino Z (Carinjo), out of Belinda’s 3* evening mare Aspyration (New Zealand thoroughbred). She is a quality mare with a kind temperament, we are really excited about what the future holds for her! Sarah borrowed the ride on Emma’s, Diamond B Catapulte, jumping two double clear rounds for 1st in the 1.10m & 4th in the 1.05m! Delemarie Alina also had a great day, placing 2nd in the 1.05m and 5th in the 1.10m! 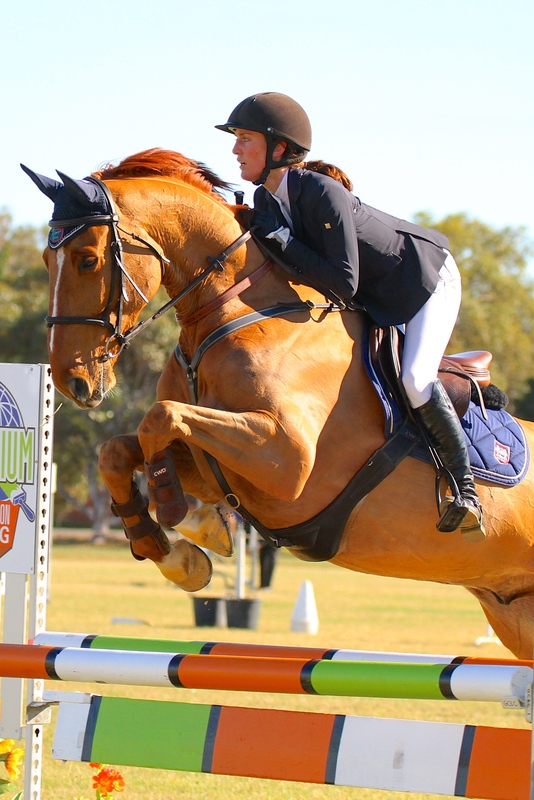 Fun weekend away for Geraldton Combined Equestrian Club three day Showjumping Classic in July! 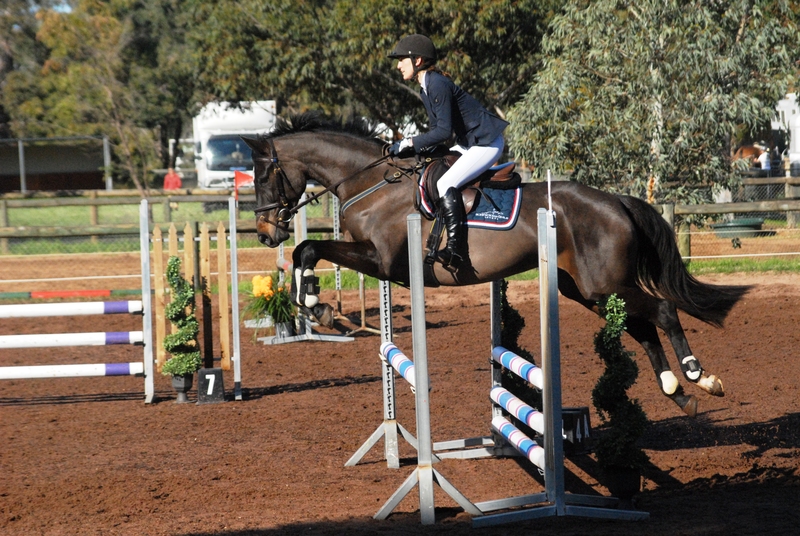 Yalambi’s Fiorenza had his first start at 1.10m jumping a lovely round! Delemarie Alina was super competitive in the D-Grade Country Championships Qualifiers placing 3rd on Saturday and Sunday! An AM5 on the Sunday meant the jump-off fences could be raised to 1.20m, giving us a chance to step this lovely mare up a level! Flash Back – Horseland Young Horse Championships! Yalambi’s Fiorenza achieved a pleasing result in the Horseland Young Horse Championship in June, placing 4th in the 5yr old division! Given this was only his third outing ever, we were thrilled with how he handled the atmosphere and courses, taking everything in his stride. Delemarie Alina was 6th in the 6yr old division, a great effort given the very competitive class! Alina jumped two double clears around the 1.15m track, very pleasing for her owner Polly-Anne Huntington.